Will cover maximum opening 9 1/2" x 6 1/2". 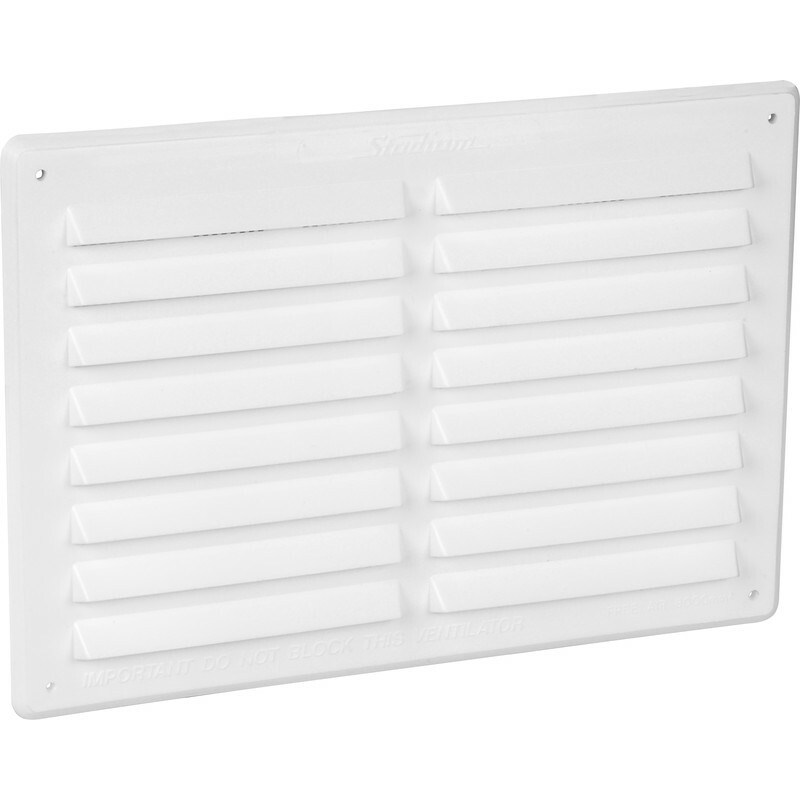 Louvre Vent Plastic White is rated 4.5 out of 5 by 2. Rated 4 out of 5 by GLaw from Light weight but OK Use this for vents in cupboard to allow fridge cooling. Liked that you can remove the fly screen if you want maximum ventilation. Light weight item but strong enough to do job.